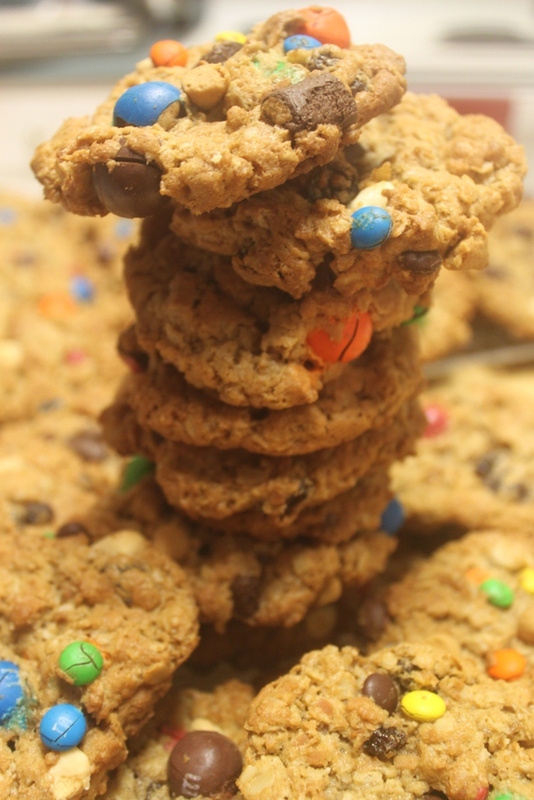 Kitchen Sink Cookies | Rosetta Bakes! These cookies are soooo yummy! 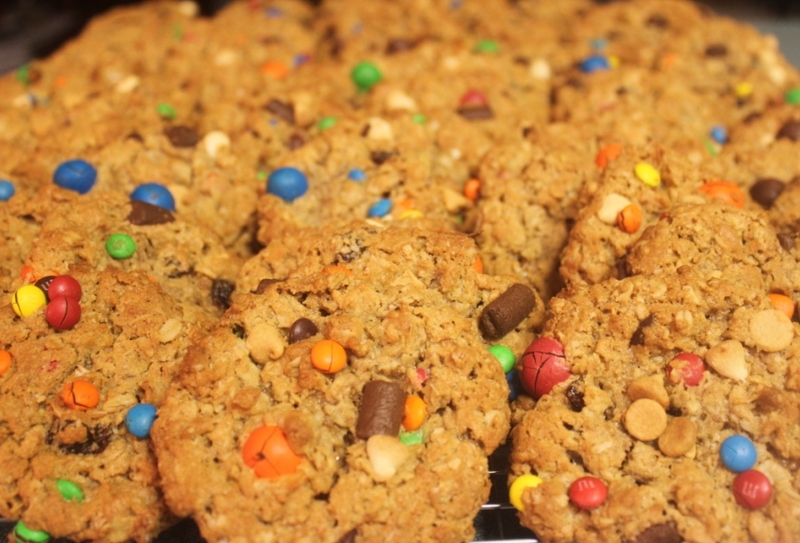 You get a different taste in each cooking because no cookie is alike! When I first came across this recipe from Annie’s Blog, I had to look back to make sure she didn’t forget to add the flour, but this recipe has no flour! You would never know they lacked flour, the taste of each cooking is incredible! Preheat oven to 375F degrees. Line baking sheets with parchment paper or silicone baking mats. Using one lined baking sheet, spread the evenly in one layer. Bake coconut for 7-8 minutes. Using a spatula, turn the coconut over and bake for an additional 3 minutes (check for browning). Keep a close eye out on the coconut as it browns quickly and you don’t want burnt coconut. Continue browning until all the coconut is brown, but not burnt. Remove from oven and let cool. It cools faster if you take it off the cookie sheet and let cool on a cold cookie sheet or platter. Lower oven temperature to 350F. In the bowl of an electric mixer fitted with the paddle attachment, combine the sugars, peanut butter and butter, mix well. Mix in eggs, one at a time, scraping down bowl as needed. Blend in the baking soda, vanilla and salt. With the electric mixer at low-speed, mix in the oats just until combined. Remove and dump in a large bowl and add rest of ingredients (Mini M&Ms, pretzel M&Ms, chocolate chunks, white chips, peanut butter pieces (or chips), cooled coconut and raisins. Drop heaping Tablespoons of dough (I use a medium size cookie scoop) onto the prepared baking sheets. (line with parchment paper or silicone baking mats), leaving a couple of inches between each dough ball. Bake 10 to 13 minutes, until light golden and just set, being careful to not over-bake. Let cookies cool on the baking sheet for 5 minutes before transferring to a wire rack to cool completely. Store in an airtight container. thnaks for the cookies sis, they were really good .